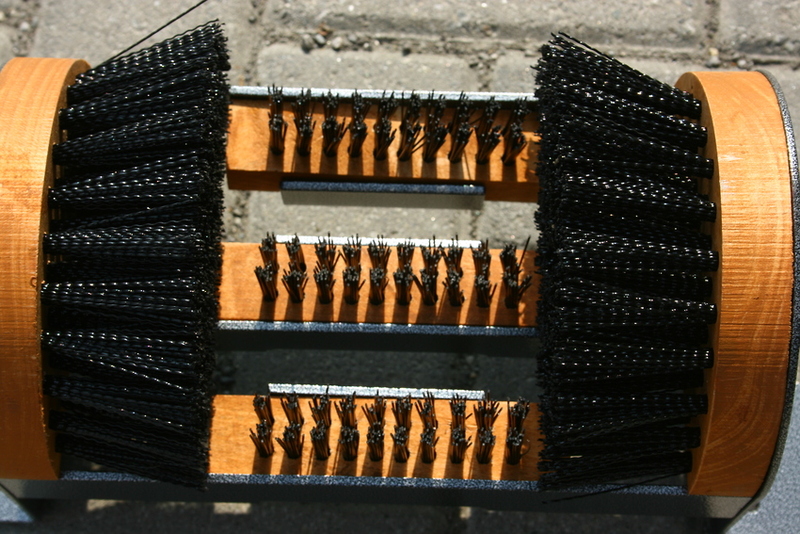 ﻿ Raspòtt, bootscraper for outside with multiple combined brushes. 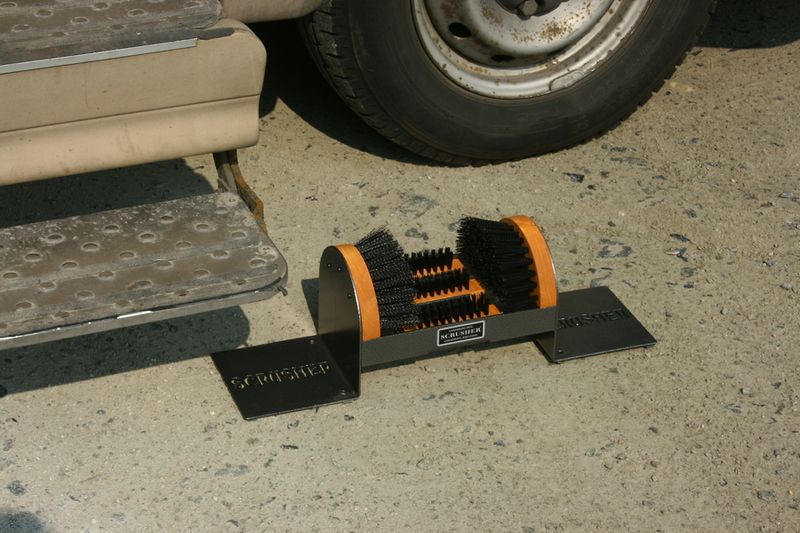 call it as you want..
... bootscraper, bootdrawer, bootscratcher, mud cleaner, mud scraper, scraper, multipurpose scraper, etc... Whatever name you use, Raspòtt has the best efficacy on sticky dirt! Scrap mud or snow from boots or ground from shoes after some walking, work or free-time, up to now was a problem. 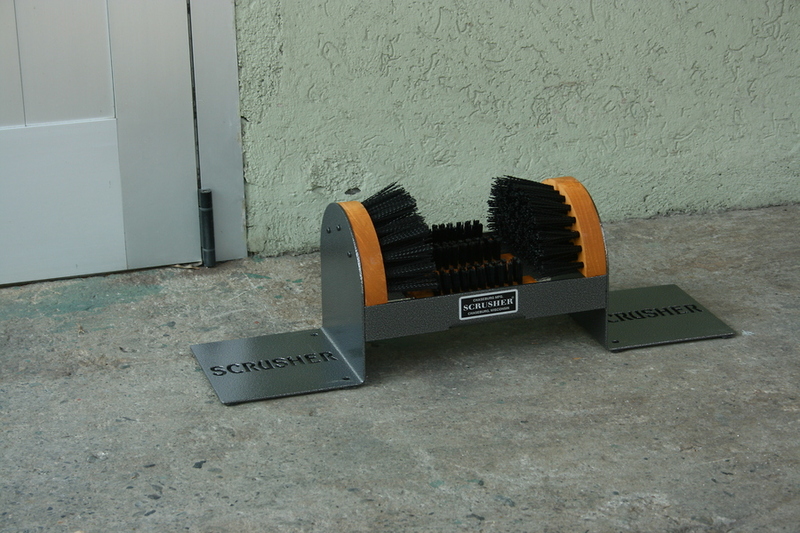 Now there is Raspòtt to stop outside your door every kind of dirt,mud or slush. Everywhere there are big or small feet arriving with sticking dirt on shoes, Raspòtt it's your solution. 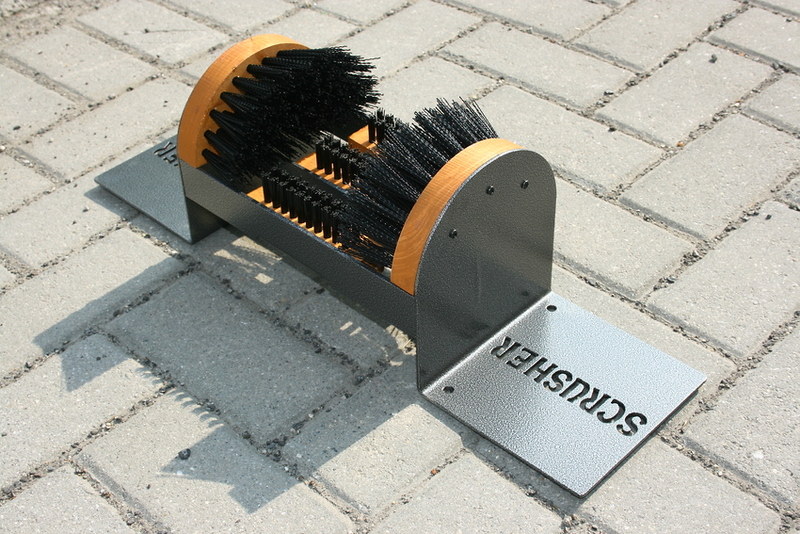 Raspòtt, the brush system to clean sticking particles from every kind of shoes, from soil to leather. 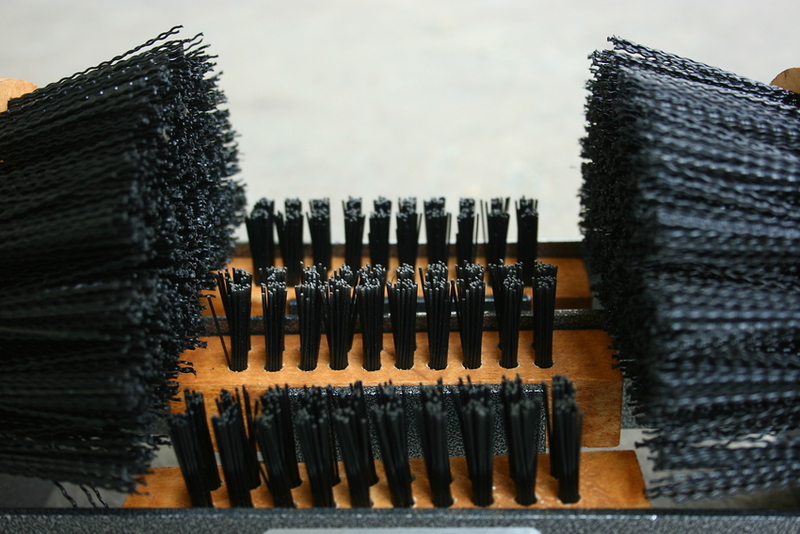 Forget old systems for soils crapping: Raspòtt has strong nylon brushes to scrape sticky dirt from soils,combined with softer upper brushes to clena flanks without leather damages. Raspòtt is also the best way to clean expensive shoes and make them last longer. 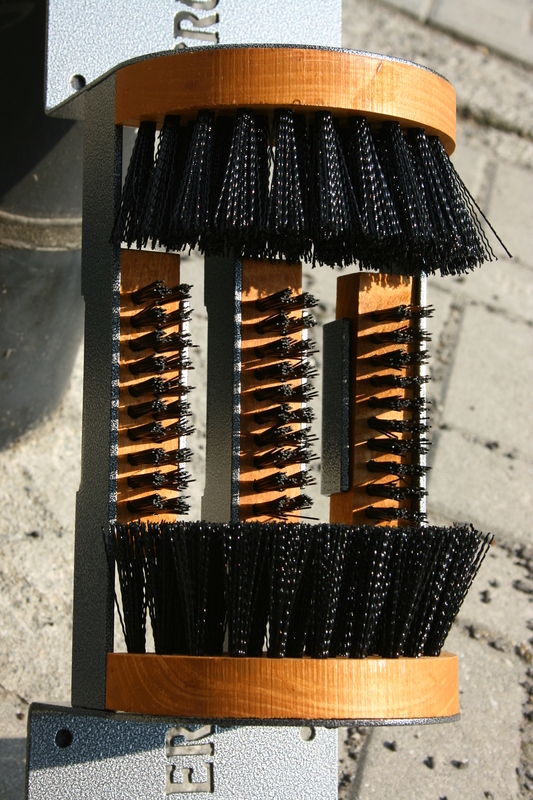 Raspòtt, the bootscraper most used since 50 years in the great North American woods. 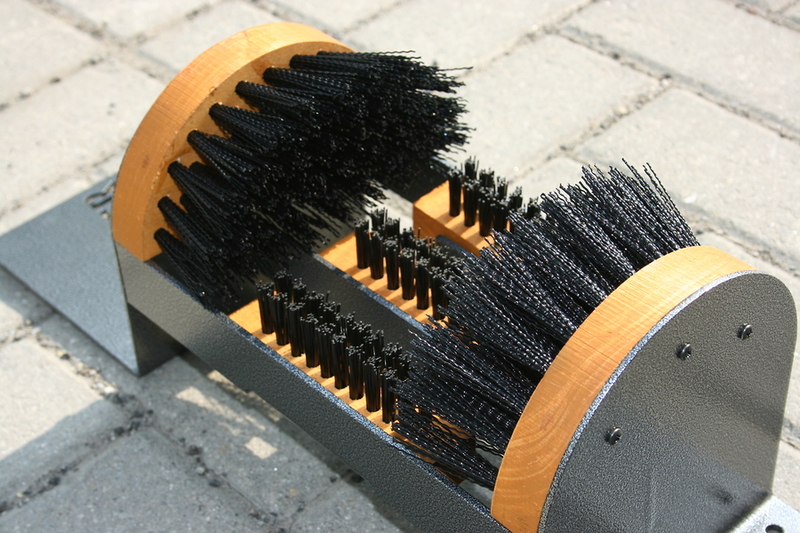 Raspòtt is a cleaning system suitable to every kind of dirt, produced with high quality materials to last many years. 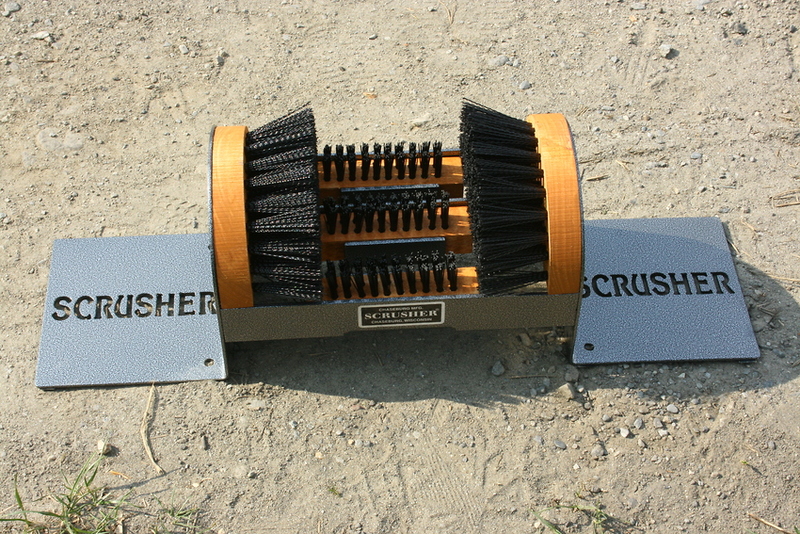 lower brush made of strong nylon, able to scrape soils energetically, removing even sticky clay from heavy boots. 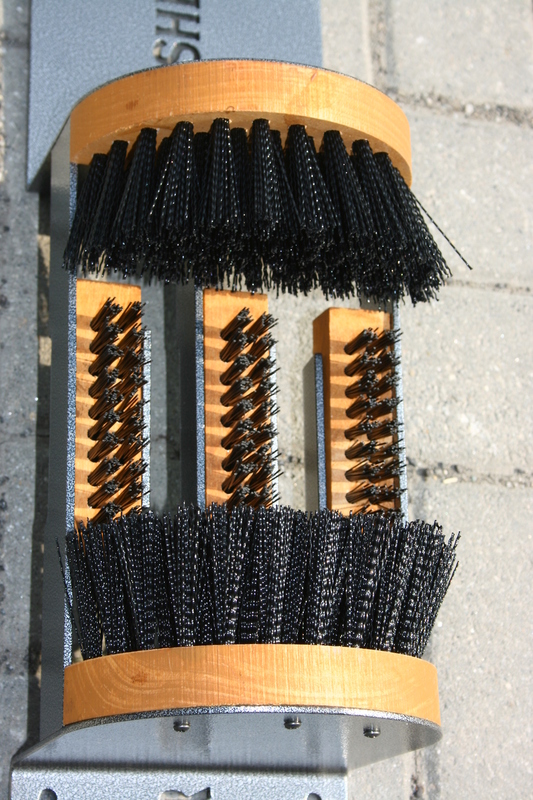 side brushes in softer nylon to cleanthe upper part of shoes without damaging leather. the strong steel frame is hand welded and painted to resist to outside and face the heaviest working conditions for many years, whilst brushes -replaceable- are designed to clean deeply even in hardest situations and let removed parts to fall down through, to let your Raspòtt always ready to use. Raspòtt doesn't need any power supply or complicated installations. 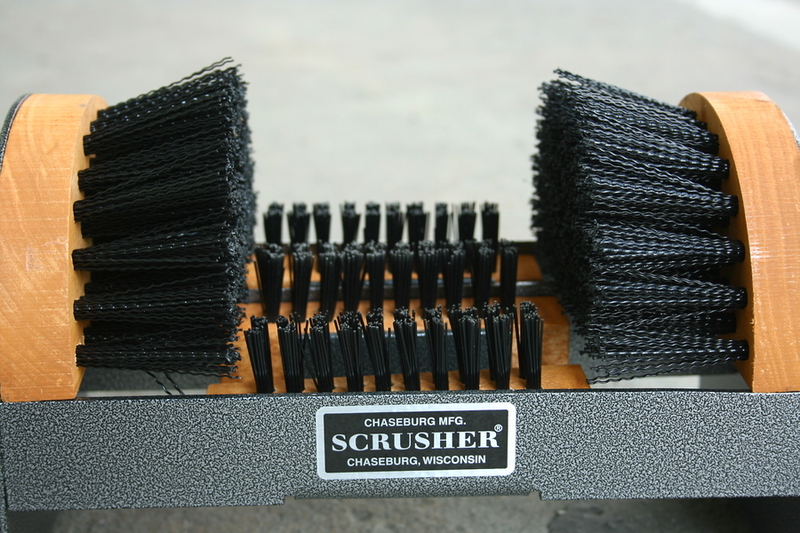 It's enough rub your shoes on brushes ant then they will be working well on, removing everything from soliand flanks of your shoes. Placed on the ground or fixed to floor, Raspòtt allow you to celan perfectly and without any train of dirt whatever kind of boots or shoes. Staying outside is fine, but less fine when on the floor you can find footprints of outside remains, as bits of mud or snow detached from soils. Raspòtt cleans soil an flanks of every shoe in the worst conditions: hobby, sport, or job, from shoe to mountain, beside the door of shelter, sea or mountain hotel, cottages, villas with garden & kitchen garden, camper. Everywhere the environment can leave bad traces os your feet, you can avoid to limit the pleasure to stay outside using Raspòtt. Raspòtt is suitable to all kinds of shoes, from mountain boots to ski boots, moon boots, trekking shoes, up to light shoes. With Raspòtt you can leave all dirt outside for more hygiene insiide and more floor protection. Raspòtt works with clay too! Going to barracks passing through mud all around means have mud inside too, that means in rest & lunch room, dressing room, offices. Placing Raspòtt just outside the barrack means to leave out dirt and keep more hygienic standard inside barracks. After some garage or garden working is rather easy bring at home traces of working palce, as chips, grass, earth, mud, etc. 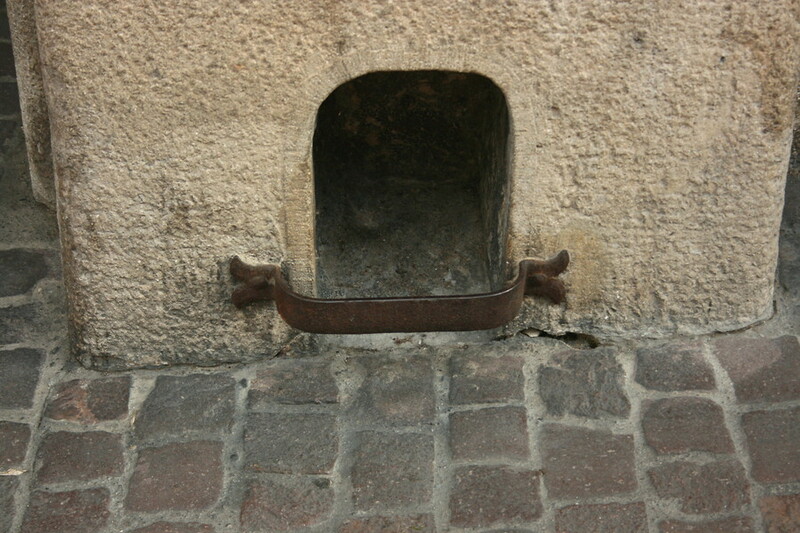 Raspòtt prevents to dirty the floor inside or, worse, even to damage the floor itself.